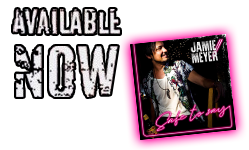 ﻿ Jamie Meyer – Welcome To The New Official Site of Los Angeles Music Award Winner, nominee for Best Country Song And Best New Artist in Sweden, Jamie Meyer. To The Official WordPress and Blog Site of Los Angeles Music Award Winner, nominee for Best Country Song And Best New Artist in Sweden, Jamie Meyer. Special thanks to Music City Highway for the exclusive premiere on this video. PLAYING AT SWEDENS LATE SHOW BINGOLOTTO TOMORROW!